Serving Issaquah for Nearly 100 Years! Range closes at 3:00PM this day!! Awards will be made for the largest deer, elk, salmon or steelhead caught, shot or corralled in Washington State during 2018. Contact Tom Mechler @ 425-255-0922 if you think you have a winner before April 20, 2019. Please sign up before April 30th. To pay at the range make checks payable to Issaquah Sportsmen's Club or you can pay at the door. WE ARE CLOSED ON ALL MAJOR HOLIDAYS THESE INCLUDE EASTER SUNDAY, JULY 4th, THANKSGIVING, CHRISTMAS, NEW YEARS!!! Welcome, Every third Sunday the Cascade Mountain men have a shoot on our range. Most of the 50 yard benches are used by CMM and all of the 100yard benches. Do not come to the range on that Sunday and expect to get a 100 yard bench until after 3:00pm. We have a long and prosperous relationship with CMM and we will continue to support their efforts. Thanks for your support and understanding! Welcome to the Issaquah Sportsmen's club. 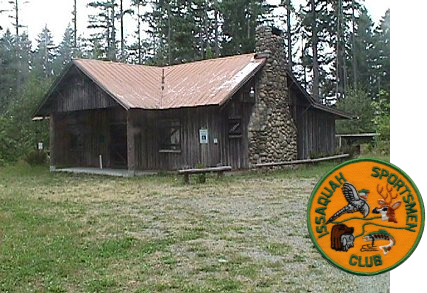 The club is proud to be a member of the Issaquah community, serving sportsmen from this location since 1920. Our facilities are utilized by many local and state organizations. Some of these organizations include: Scouts, 4H Shooting Sports, Hunter Education, Bowhunter Education, and many others. If you're organization is interested in utilizing our facility give us a shout we'll do what we can to help you out. From the beginning, our firing range has provided a safe place for both the public and members to shoot. Our range is a place where sports enthusiasts can hone in on their skills while observing safe firearms handling and shooting. 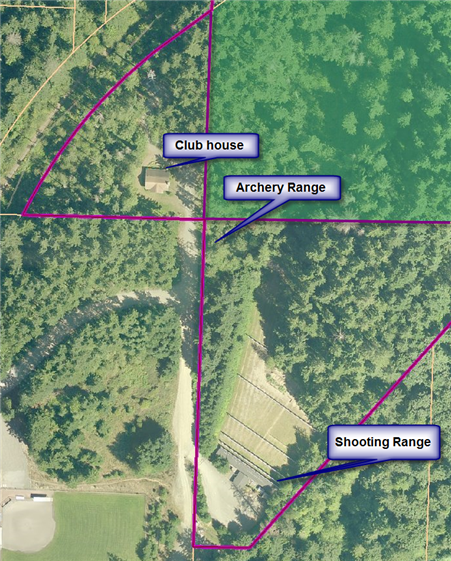 We now have an archery range available for members only and their guests. We hope you'll enjoy the facilities and camaraderie, come out and enjoy. Since it's inception, the Issaquah Sportsmen's Club has bee active in supporting wildlife conservation. The Club has participated in re-stocking Lake Sammamish. We helped establish the salmon hatchery in Issaquah and have been involved in many other initiatives related to the conservation of wildlife throughout the area and the state. Please enjoy your visit on our website and come back often. We do our best to provide as much information as possible about our club and it's facilities however if you have any additional questions please do not hesitate to contact us.